Hello and welcome to exampundit. 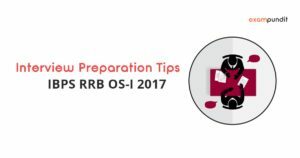 Today we will be sharing Important Preparation Tips for IBPS RRB OS-I Interviews 2017. We hope these will help you kickstart your prep! 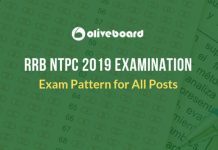 What exactly do you need to study for IBPS RRB OS-I Interviews 2017? Banking Awareness: It is one of the key subject when you are preparing for a Bank Interview. 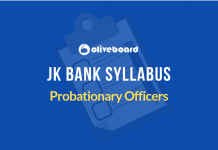 You need to learn the Banking Terms as well as daily banking activities. On the other hand, you have to focus on Important Banking Affairs in the last 2-3 months. Very basic topics like Cheques, Net Banking, Tax Related stuffs and right now the most important topic “GST“. Sometimes, hobbies may induce banking topics. If you say you do a lot of social networkings, you may be asked about P2P Lending or Social Media Banking. Current Affairs: Along with Banking Awareness you have to read few major current affairs and their impacts. When you are preparing current affairs for interview, always focus on the NAME, Place and if it includes money or percentage then the exact figure. 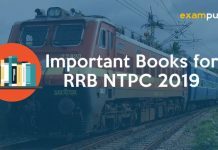 We will be providing a list of Important Current Affairs for the IBPS RRB OS-I Interviews 2017 in the next to next post. Your Academic Background: This is the most important part of your Bank Interview and it will smoothen up your way to get in if you perform well. So no matter what, you have to study your academic study materials properly. You will be asked questions from the subjects or topics you had in your bachelor’s/master’s degree and if you fail to answer them, it leaves a bad impression. 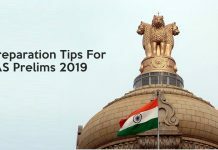 Social Issues: Your views on social issues like Agricultural Sector, Film & Arts Sector or troubles faced by Citizen in Banking sector will be important. Unbiased, honest views are appreciated the most. Don’t try to blabber about any topic and contradict yourself. You will just fall in your own trap. So, you need to study the social issues as well. 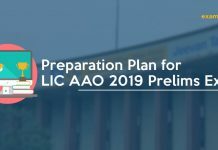 How Much Do You Need to Study for IBPS RRB OS-I Interviews 2017? For Banking Awareness, whatever you are studying, know What it is, How it is done. When you are studying acronyms, focus on what exactly are they and their impacts. Very basic or elementary level of economics will be a great help. 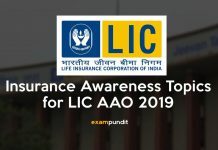 When it comes to Current Affairs, you need to focus on 3 important factors, the name of the place or person, the cost or duration of the news or anything that is linked with the first point and last but not the least, the impact of the news. You don’t really need to go in depth in Sports, Obituaries(unless related to your field) and Appointments(World and Less Important ones). When you are studying something for 3 to 5 years, recruiters will expect you to know a lot. So, whatever you are studying, go through that and study everything that is interlinked with the topic. We will be providing a detailed Current Affairs and Banking Awareness Prep Strategy by this week. So stay tuned. All the best and study smart! Message us on Facebook if you have any query!